At Return Serve our volunteers are the heart and driving force behind our program. Our goal is to provide a fantastic volunteer experience where our volunteers are able to give back to their community, while having a great time! We also aim to give back to our volunteers through skill building, training and qualification pathways. Our Volunteering Opportunities are listed below. Vibrant, energetic and the ability to make the session a fun and enjoyable place. Open-mind and a willingness to learn from and engage with our players in a respectful and meaningful way. An interest or experience in sport and recreation, whether playing or coaching. Being a team player is essential. You must be able to take direction from our Head Coaches, as well as, work well with the other Coaches and Volunteers. Ability to maintain a safe and enjoyable environment for our players. 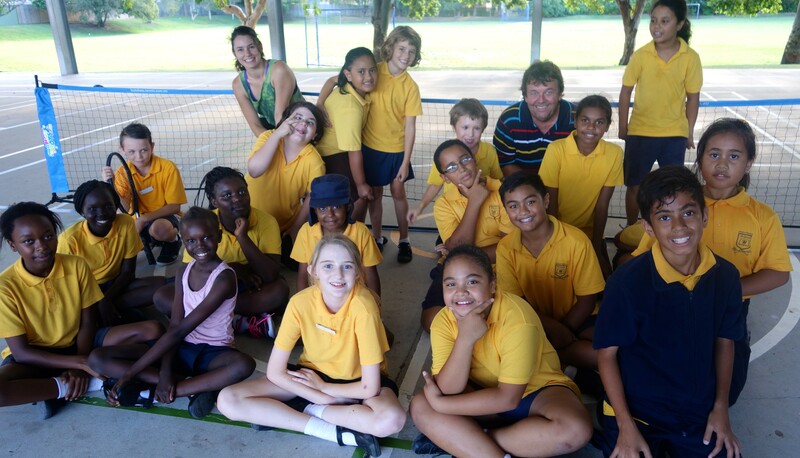 Training is primary done on court, combined with some group training sessions with our Return Serve Mentor Coaches. Volunteer Induction – Suitable for new Volunteers interested in getting involved in Return Serve! All our volunteers are required to have a Blue Card. You can download a Blue Card application here. As our sessions run for just 1 hour, volunteering with Return Serve is a great way to give back with just a small time commitment each week. You can get involved in as many or few sessions as you like. However, we do ask that you commit to a full 8 week term program for the sessions you sign up to. Our Program Volunteers are the people out on the court engaging with our players, supporting our coaches and generally making it happen. 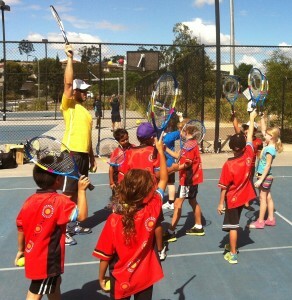 The Program Volunteer role involves delivering our unique sporting programs under the guidance of a Coach. For this role, you don’t need to have a sports coaching background, you just need to be able to have fun and put a smile on the faces of our players! Click here to get our Program Volunteer Pack. The Head Coach role involves leading groups of Junior Coaches, Program Volunteers and participants in our sports programs. While this role involves knowing some of the nitty gritty of a particular sport and being able to pass that knowledge onto a group, it is also a role that requires the ability to engage with diverse groups of people from all different ages, backgrounds and abilities. Previous coaching experience and leadership skills are essential in this role! Click here to get our Head Coach Volunteer Pack. Ready to join our team of passionate volunteers? Register your interest with us now!